Optinet Cloud Analytics TM Services Motion Controller - Configuration Assist Tool Copyright © 2011 Optinet Inc.
Click RUN. Add parameters to the yellow boxes and observe movement of the model ball. 1. How many axes are needed? 2. What levels of power and performance are needed? 3. What are the leading development factors ( e.g. cost, performance, form factor, time to market )? 4. What are the engineering, integration and service capabilities of the developer ? 5. What type of market is being served? 1. Chip Set - A chip which generates trajectory, receives feedback signal and controls the motion profile of each axes. Requires integration to a PCB for I/O and power to make it a motion card controller. 2. Motion Cards - A controller which mounts in a Host PC slot and sends out to all the Amplifiers, which are being controlled, a +/- 10V command, where each amplifier controls the current loop. 3. Stand Alone - A controller, either panel mount or rack mount, which includes the motion controller and the amplifiers within one integrated unit. Communication to the Host PC or PLC via I/O or RS232. configuration. 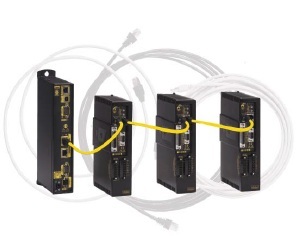 Commonly used network systems include SERCOS, Ethernet / Powerlink and EtherCAT for high performance, and CanBus, Ethernet and RS485 for lower performance applications. 1. 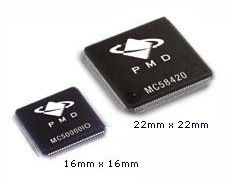 Chip Sets major advantages are in low cost for high volume, low power and smallest form factor. Their disadvantages are longer time to the market and the need for the highest level of engineering capabilities. 2. 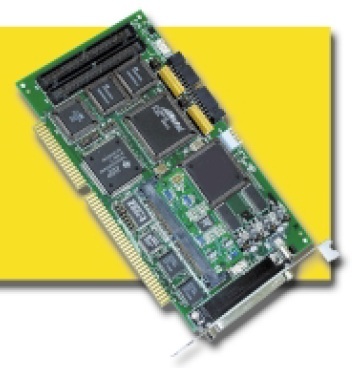 Motion cards mounted within a PC slot with +/- 10V command to amplifier, are highly flexible high performance options with requirements for high level engineering, test, integration and support capabilities. 3. 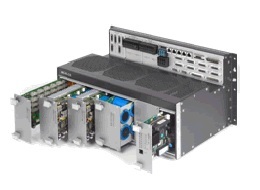 Stand alone configurations, including motion controller card with integrated amplifier, are the highest performance and fastest to the market, relatively easy to maintain yet the most expansive options. 4. Network configurations are the default options, with advantages of minimal wiring, standard plug & play cabling, ease of integration and serviceability and require lower level of engineering and service expertise. 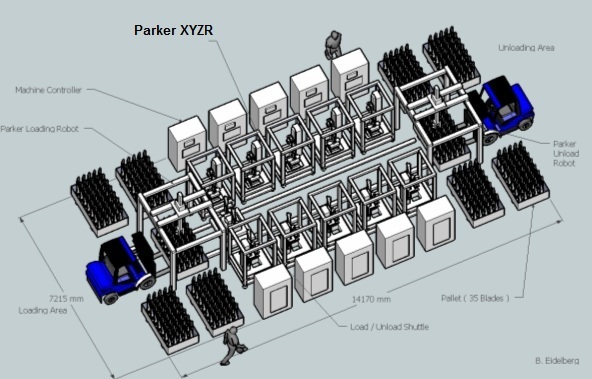 The chart above displays the distance of the preferred configuration from the configurator model.